MotorOctane has reported that a new car by name Honda WR-V will be launching in India next year (2017). 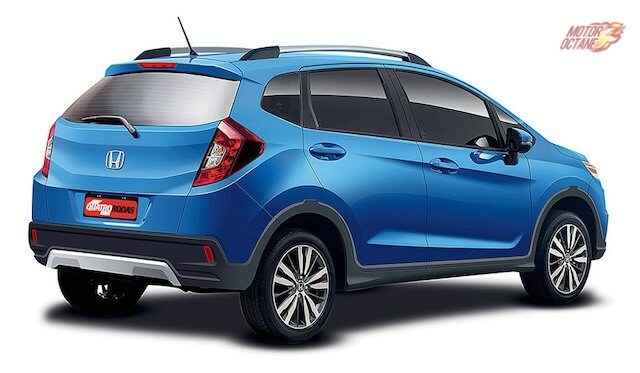 Honda WR-V will take on some of the very successful cars in the hatchback segment like Hyundai i20 Active. When the company launched BR-V – the compact SUV, they also hinted that more cars will be launched to compete against growing compact SUV and premiere hatchback segment in India. The upcoming Honda WR-V is going to be the next major crossover for India and it is based on Jazz platform and also inherits the design in many aspects. 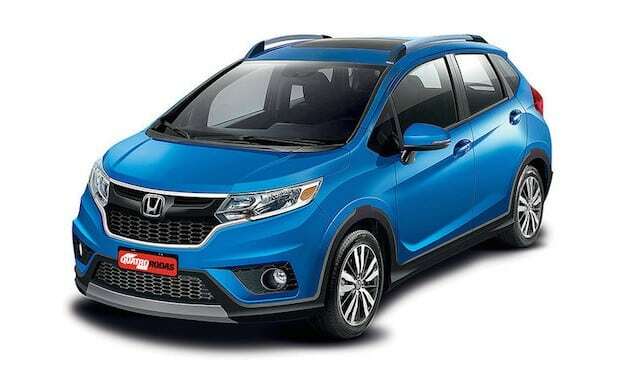 Honda will be first launching the WR-V in Brazil and then it is going to introduce this car in India. The all new Honda WR-V shall follow the same design language as that of Jazz. And we can call this car as a raised version of Jazz. The Honda WR-V will be getting a very higher ground clearance and the car will be getting a body cladding as that of Jazz. Honda WR-V gets the roof rails and looks pretty stylish and rugged! 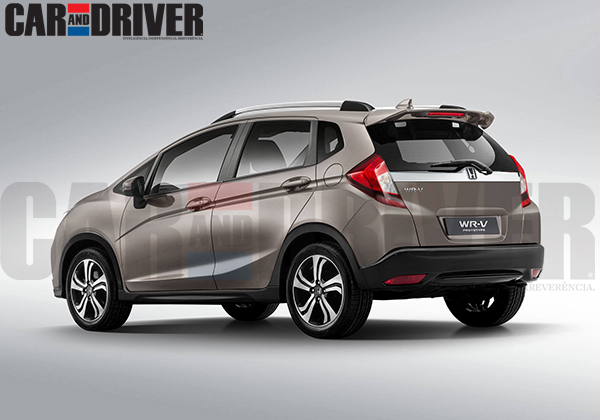 Honda WR-V will be getting more of SUV-like looks there by distinguishing itself from Hyundai i20 Active. Honda WR-V’s interiors is going to be similar to Jazz’s interiors. Honda WR-V is expected to get all black interiors. In the dashboard front, Honda WR-V’s instrument cluster will be getting three dials, one for speedometer, one for tachometer and the third dial will be for driver information system. Some of the major features of WR-V is keyless entry, push start and stop, touchscreen infotainment system, cruise control, dual airbags and also the ABS (Anti-lock braking system). Honda WR-V would also be getting lot of space in the rear side. The rear seats of WR-V gets the recliners too. The Honda WR-V would be exclusively previewed at Sao Paolo Motor Show in Brazil and then it will be launched here in India. What powers the all new Honda WR-V? 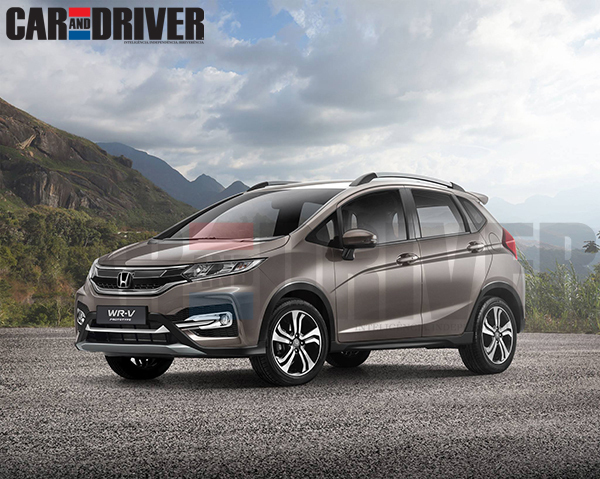 The all new Honda WR-V would be getting the same set of engine options as that of Honda Jazz – the 1.2-litre petrol engine and a 1.5-litre diesel engine. Honda is also adding many new products and facelifts into its portfolio. The 1.2-litre petrol engine of Honda WR-V will be producing a 88bhp of maximum power and 115Nm of peak torque. The engine of WR-V is mated to a five-speed manual transmission gearbox. Honda WR-V’s 1.5-litre diesel engine for the Indian car market churns out 99bhp of power and 200Nm of torque. The expected launch date of Honda WR-V in India is during the early 2017. When launched, the WR-V will be taking on the compact crossover segment in India – the introduction of new WR-V can be a threat to cars like i20 Active, Baleno and others. The Honda WR-V will be sold in India and South America. We could even expect a lot more difference in styling cues as well. Honda Jazz is already the most practical hatchback and this characteristic will be carried forward on the WR-V.
What will be the price of Honda WR-V? No accurate details of price is available yet and all we know so far is the expected price. The Honda WR-V is going to be be priced INR 65,000 more than that of Honda Jazz and expect the price in the range of Rs 7.5 lakhs to Rs 10.5 lakhs (on-road price). The WR-V can change things in Indian automobile industry. While the recently launched BR-V is taking on compact SUVs like Hyundai Creta, Vitara Brezza and Terrano, the WR-V’s potential rivals in the compact cross-over segment like Hyundai i20, Ford EcoSport, Maruti Baleno and other cars in premier hatchback segment.